You'll be an even more effective bounty hunter without all that armor weighing you down! 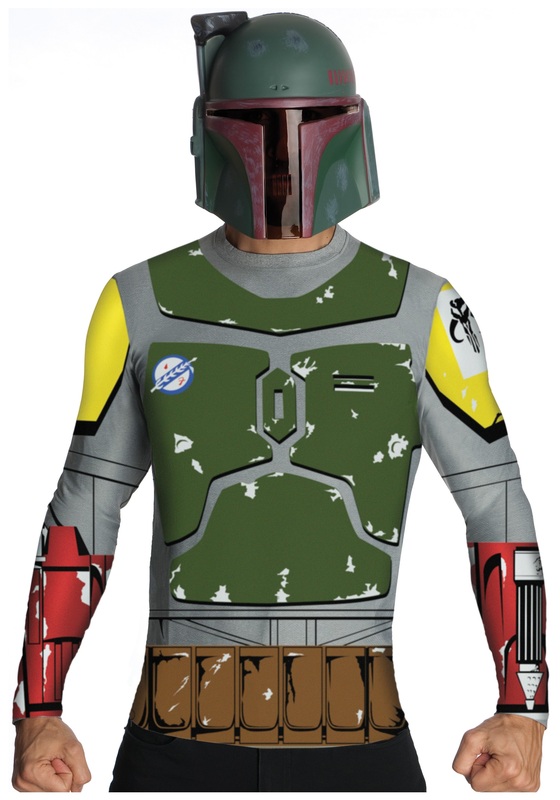 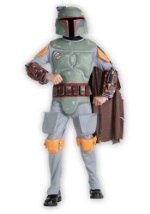 This Boba Fett costume set includes a polyester shirt that is dark gray with many details printed on the front recreating Boba Fett's armor and belt. 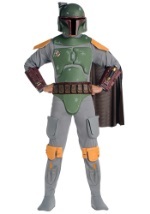 A dark green cape that attaches at the shoulders with Velcro. 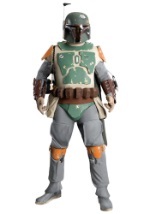 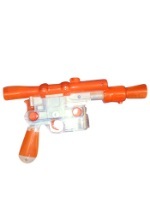 The plastic half mask is molded to look like the Boba Fett's helmet and includes a clear tinted portion for seeing. 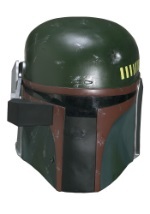 The mask has elastic that goes around the back of the head. 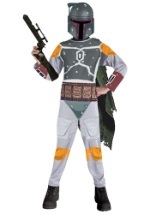 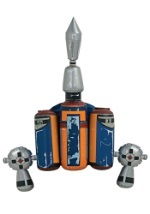 Make dressing up in costume easy and affordable with this licensed Star Wars costume set.